From time to time a project comes around offering prospect to reconsider conventional conceptions of contemporary architectural practice in relation cultural and global issues. 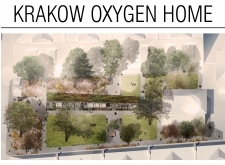 The Kraków Oxygen Home is one of those projects. 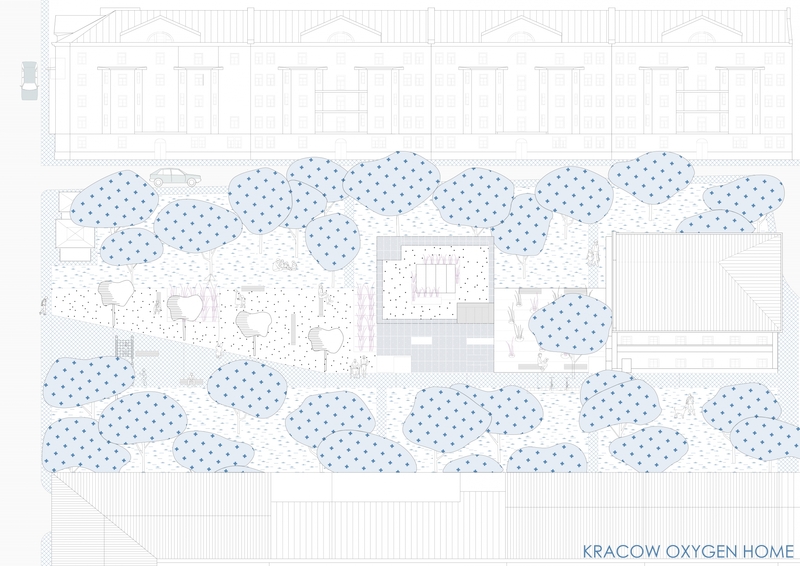 The brief invites entrants to respond to an obscure, yet profound social crisis in the Kraków region of Poland. 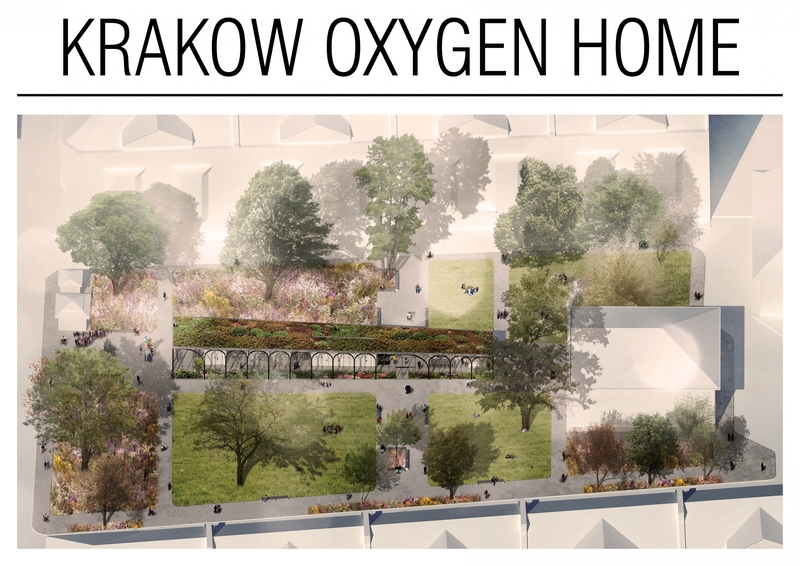 Due to reliance on coal-burning furnaces for heating, residents of Krakow are threatened by pervasive air pollution causing increasing incidents of asthma, chronic lung disease, and lung cancer. 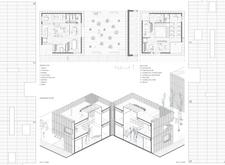 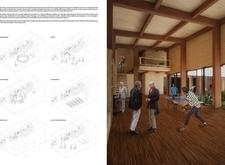 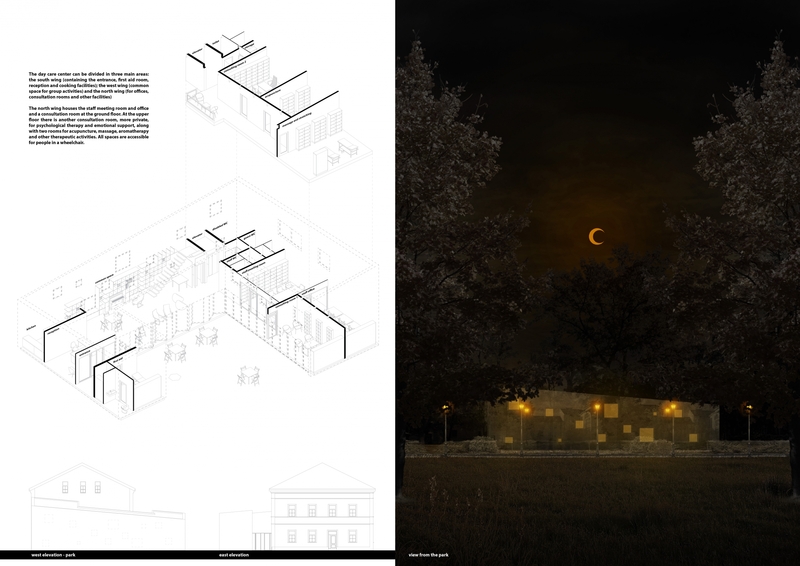 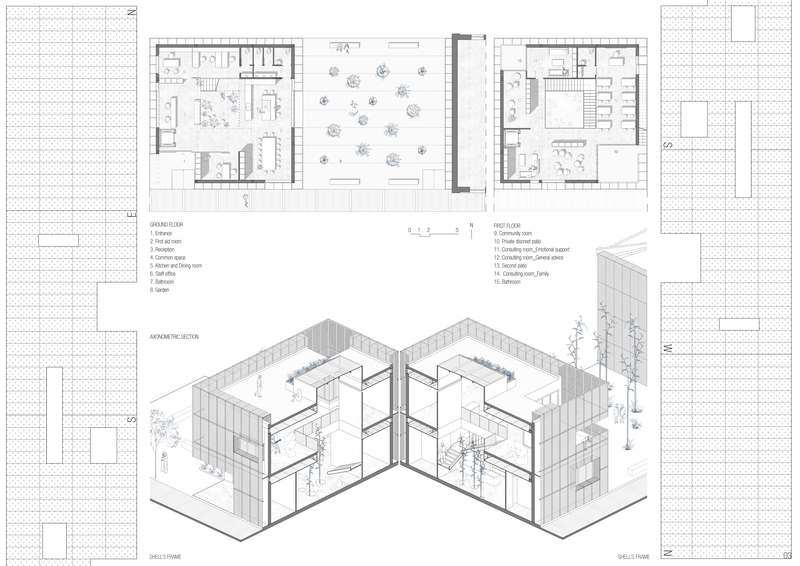 The brief calls for the design of a care center for lung cancer patients as part of the Maria Sklodowska-Curie Memorial Institute of Oncology. 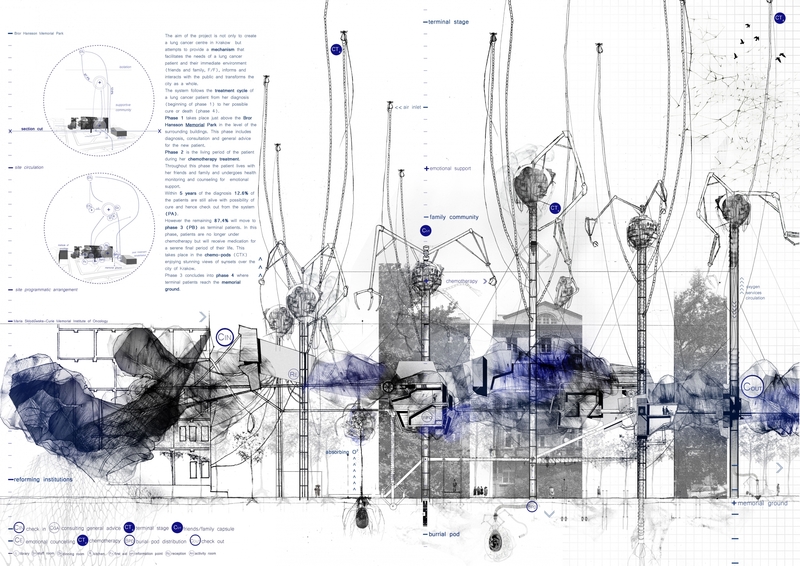 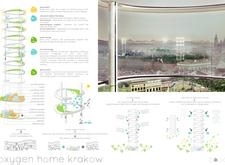 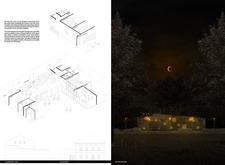 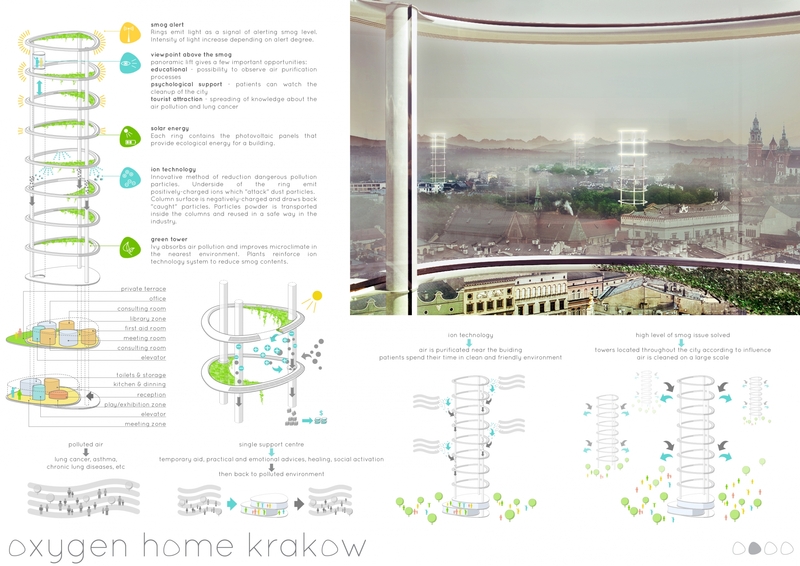 Identifying a local challenge, the Krakow Oxygen Home competition parallels global concerns of human induced pollution, similarly provoked by historically significant, though contemporarily archaic technological practices indifferent to place, time, and scale. 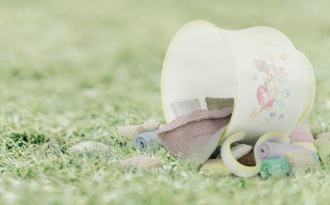 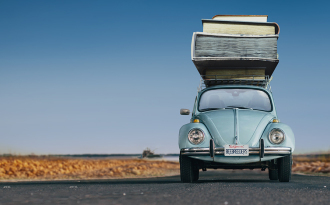 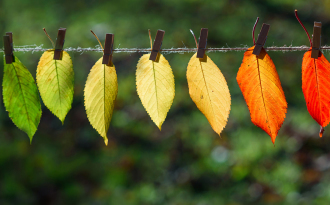 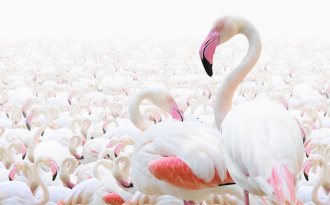 While specific to the physiological consequences of a detrimental habit, the competition suggests that global environmental issues are exemplified and made evident in the everyday life of local communities. 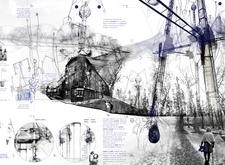 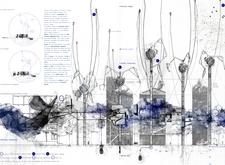 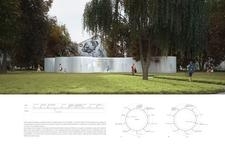 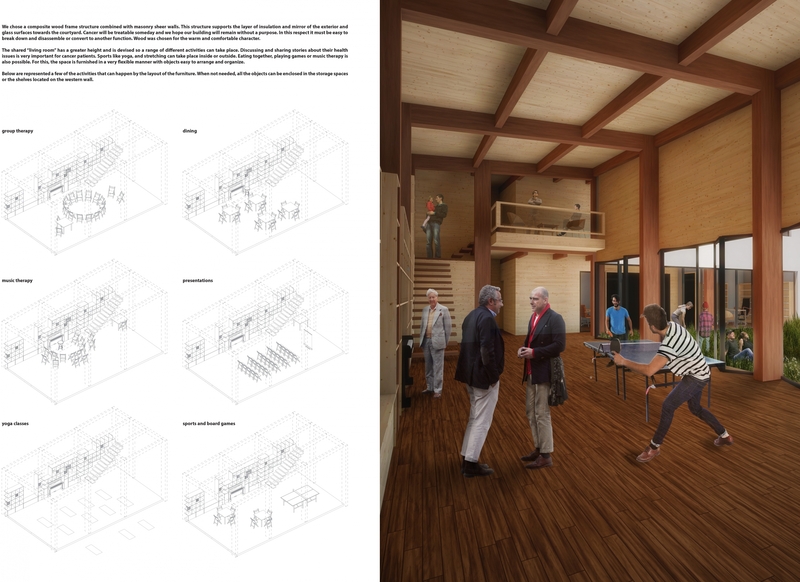 As an ideas competition, the project is therefore distinguished by architecture’s highest aspirations of social engagement in pursuit of both altruism and provocation. 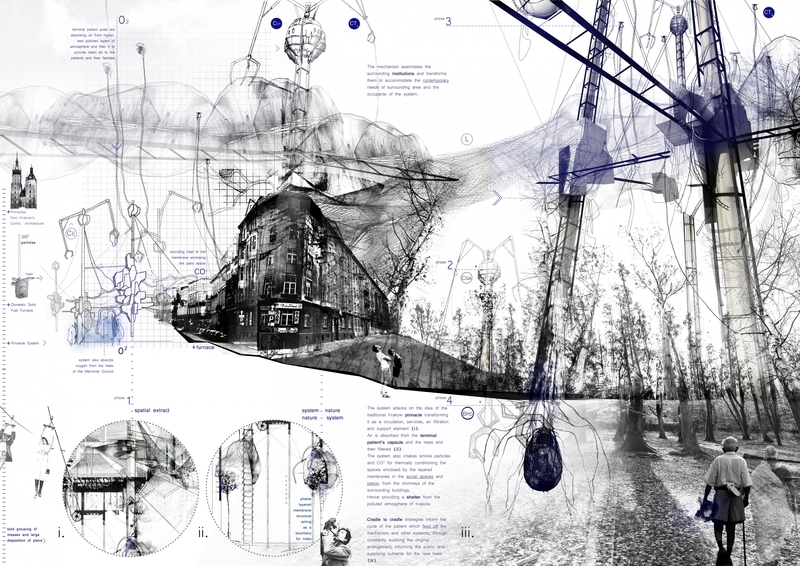 Submissions to the competition varied considerably, as demonstrated by the vast imagination of selected work. 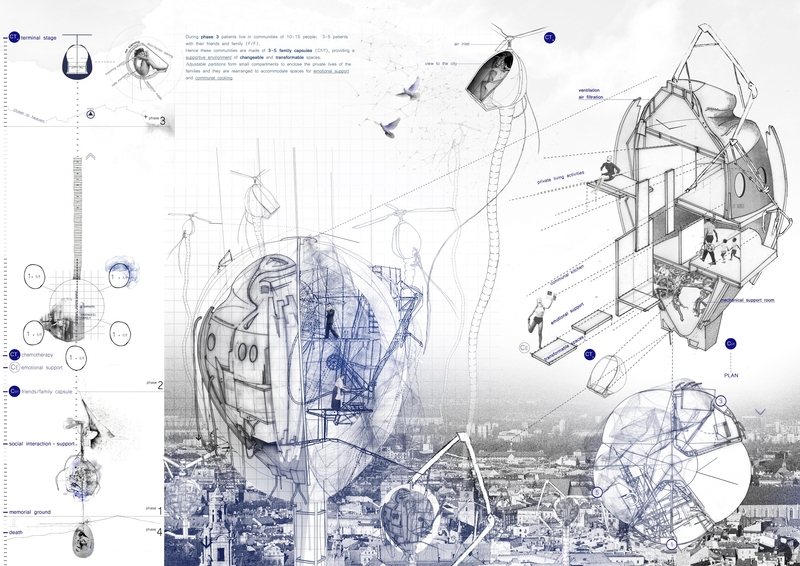 Winning entries resonated with the ambition of the brief. 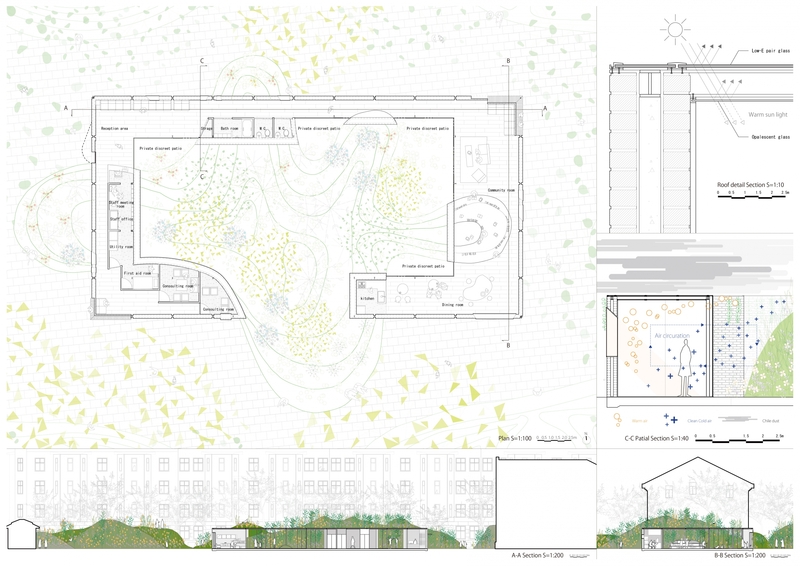 These projects are recognized for clarity in organization, sensitivity to public and private relation, material sensibility per the program, use, and site, integration with the park, and consideration for the neighboring institute of oncology. 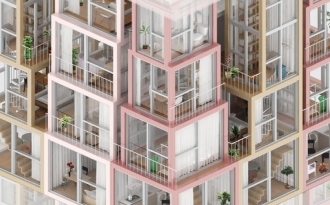 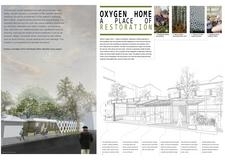 Selected submissions are differentiated by the singularity of an architectural vision — material, space, and form — of a healthful, sustainable environment. 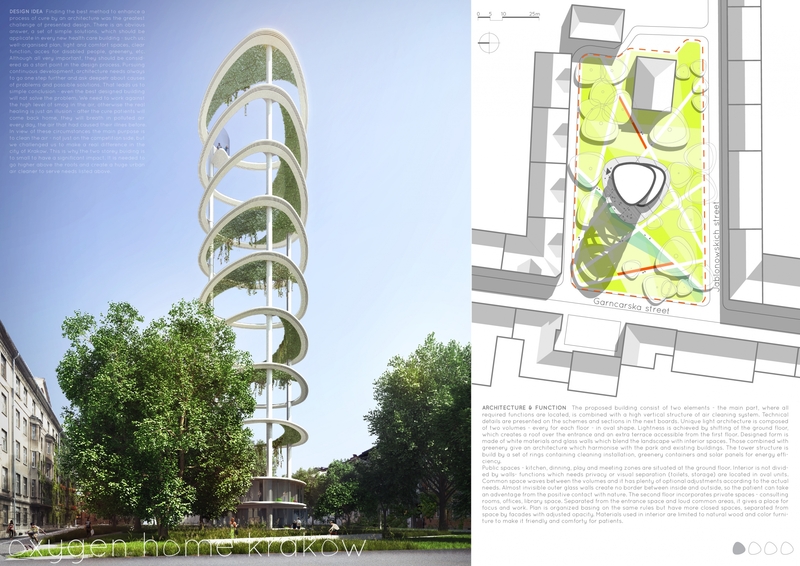 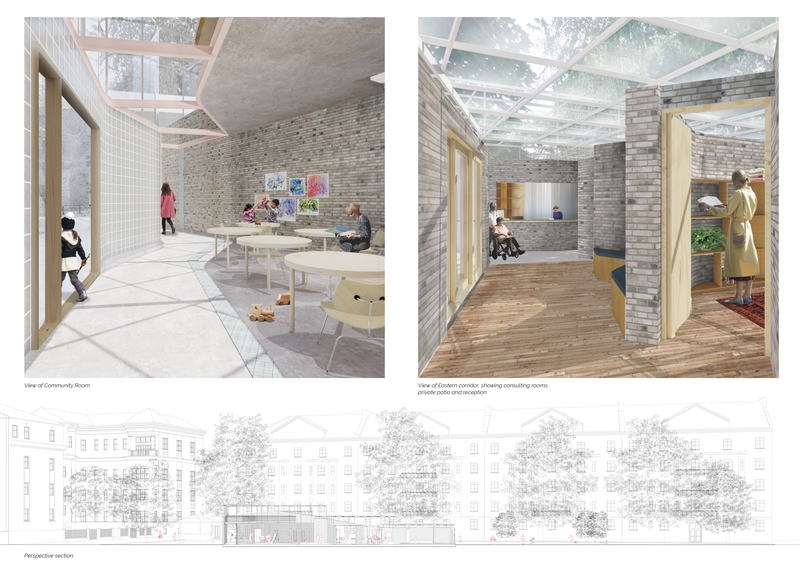 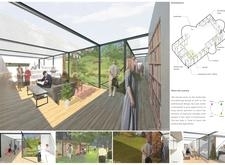 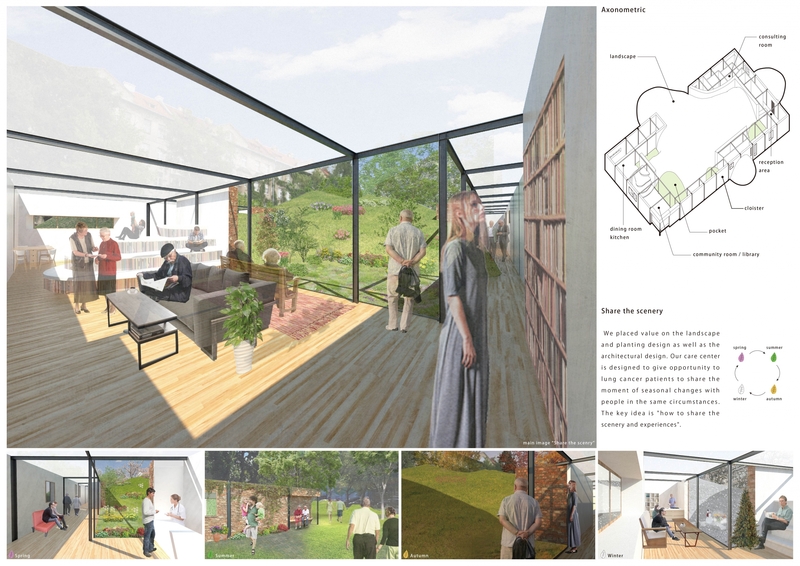 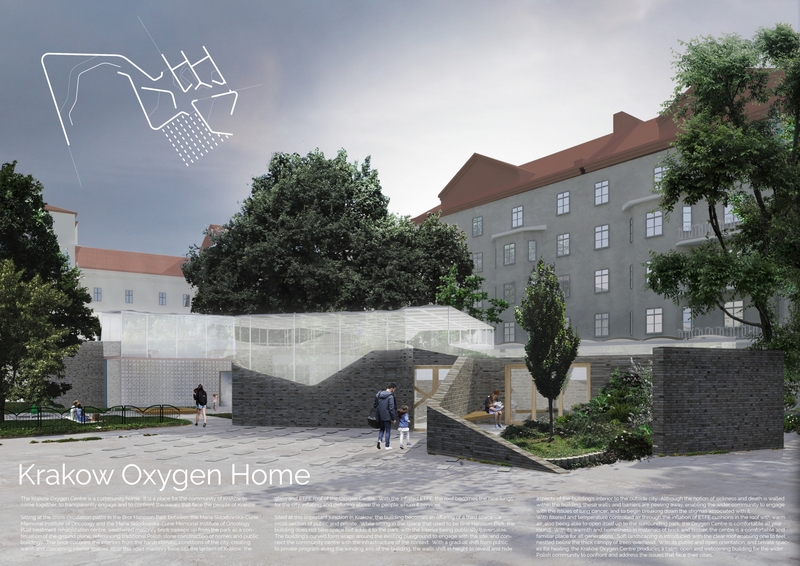 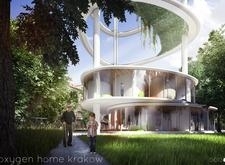 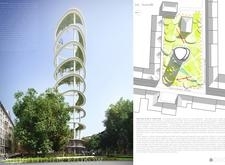 Krakow Oxygen Home competition winners revealed! 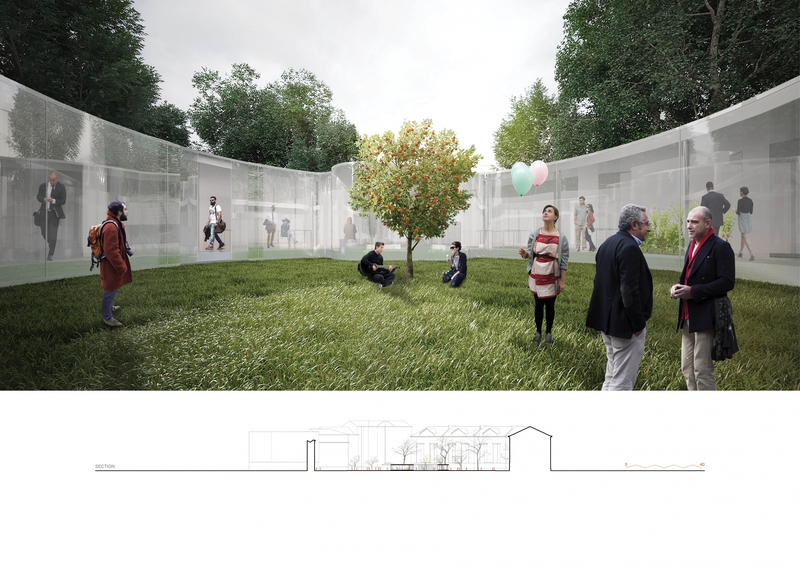 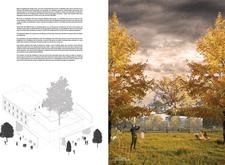 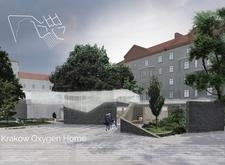 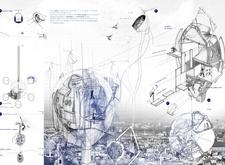 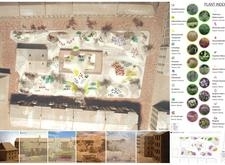 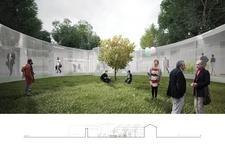 Krakow Oxygen Home architecture competition is launched! 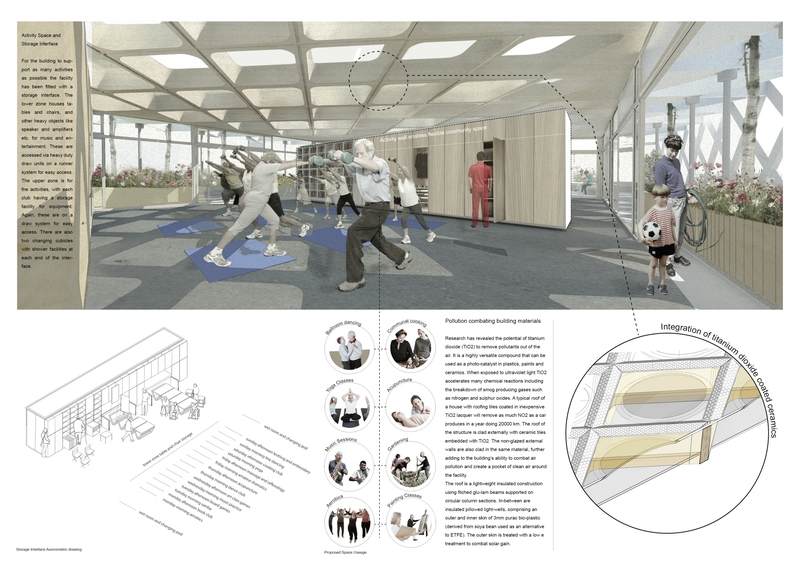 The selected first place project is characterized by schematic coherence, sensitive invention, and material resolution. 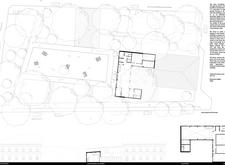 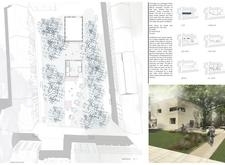 The project employs the traditional typology of a courtyard as a comprehensive operative and organizational strategy. 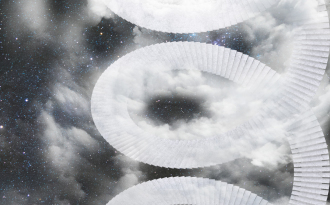 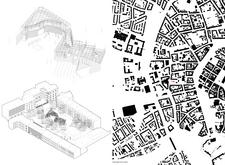 Contiguous circulation circumscribes a central court around which programmatic spaces are organized. 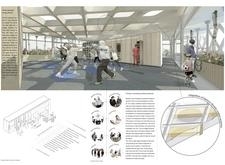 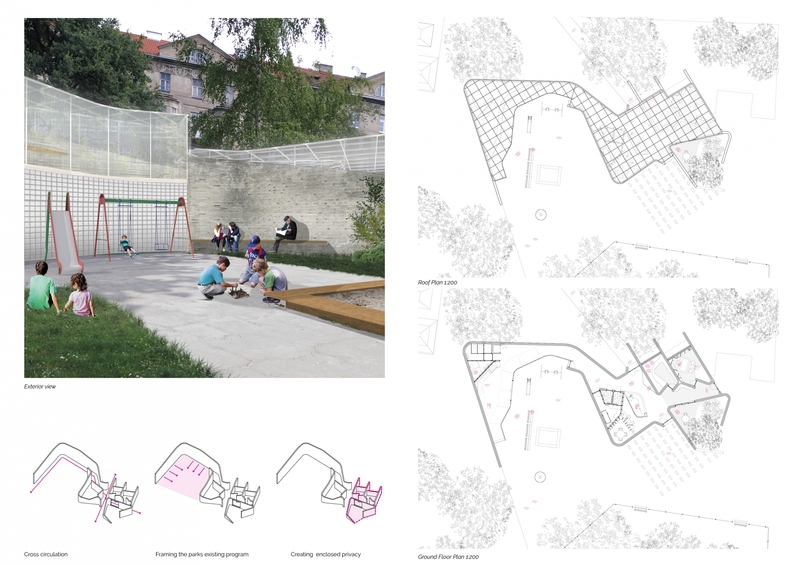 Sub-courts, both internal and external segregate the program and establish boundaries between spaces. 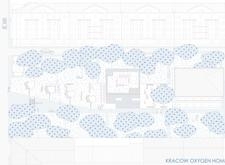 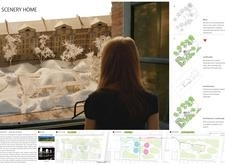 Placement of external courtyards correlates with suggested locations of trees existing within the park while internal courtyards surround proposed tree plantings. The project effectively expands the performance of the courtyard typology across scales, mitigating public and private activity, inside and outside. 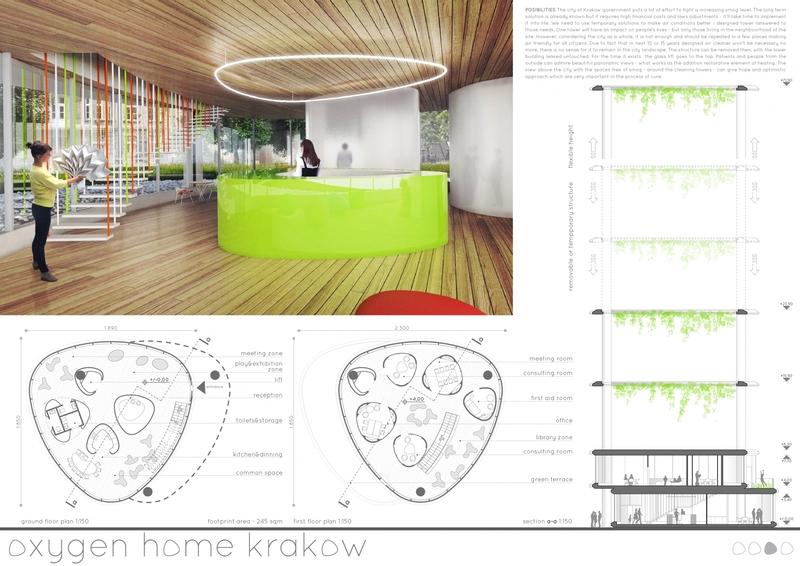 Concentric organization and material definition establish a layered experience between park and cancer care center, public and patient. 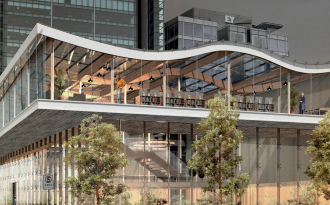 An opaque translucent glass billows around the exterior while transparent vision glazing surrounds the central interior courtyard. 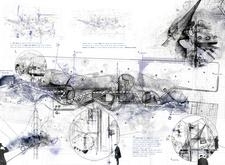 The consequence of which is an amorphous singularity, described by material subtlety, spatial nuance, and contextual sympathy. 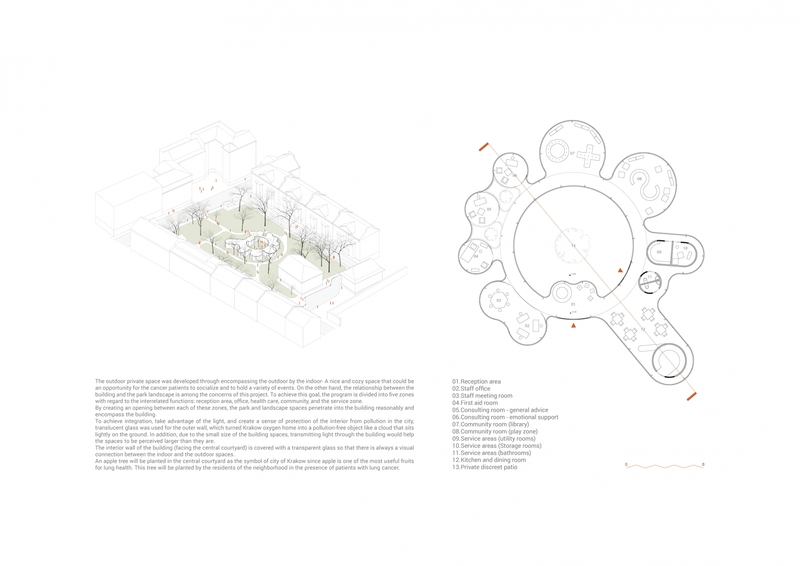 The second place project is distinguished by sensible siting and materiality. 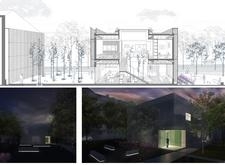 The care center is situated along the street, between existing oncology center buildings. 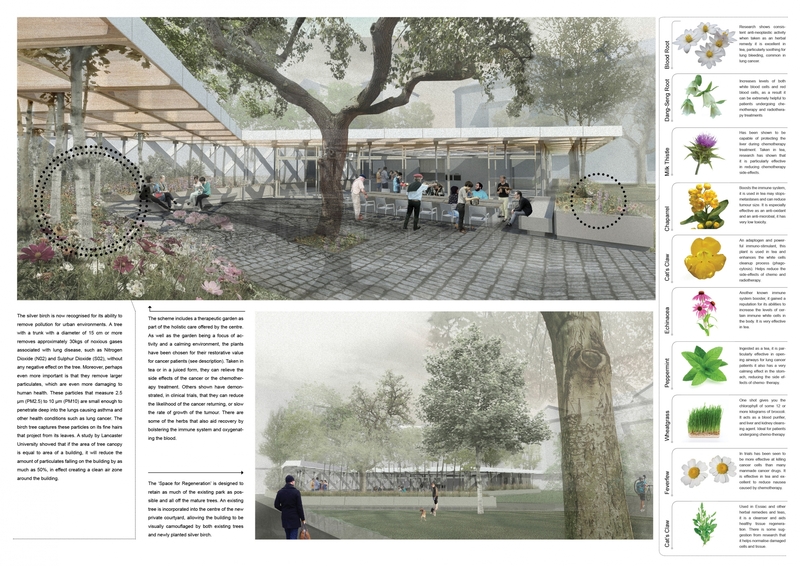 This placement establishes a street presence without obstructing the park. 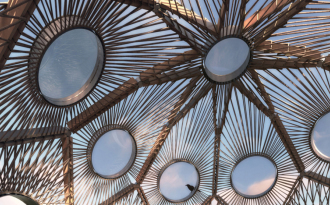 Spanning from street to park, a lattice roof structure unifies the activity and function of the building while mediating environmental conditions. 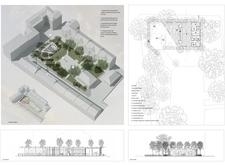 Through the use of vegetation and a performative roof, the building negotiates private and public, light and shadow, views in and views out; selectively conciliating the environment and its users. 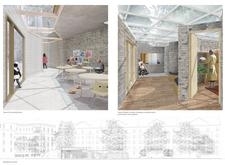 The interior spaces are designed with adequate flexibility for an ever changing program, allowing for the building to evolve as needs of the care center and users change. 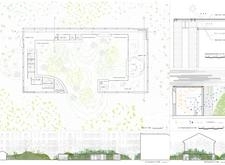 Through the development of a large roof datum, and reinforcement of the ground plane through planting, the project moderates a diversity of programs and users, while defining a sensitive, tactful environment. 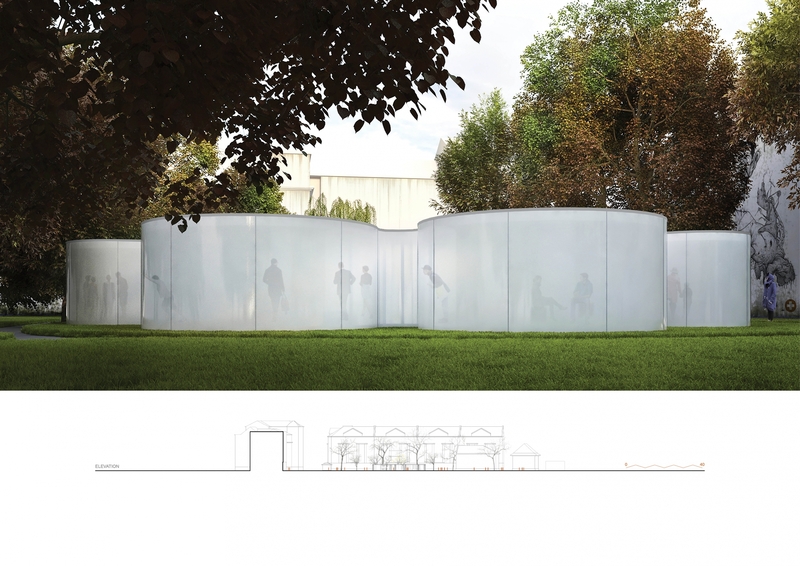 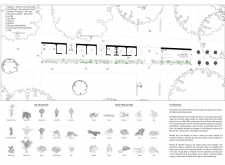 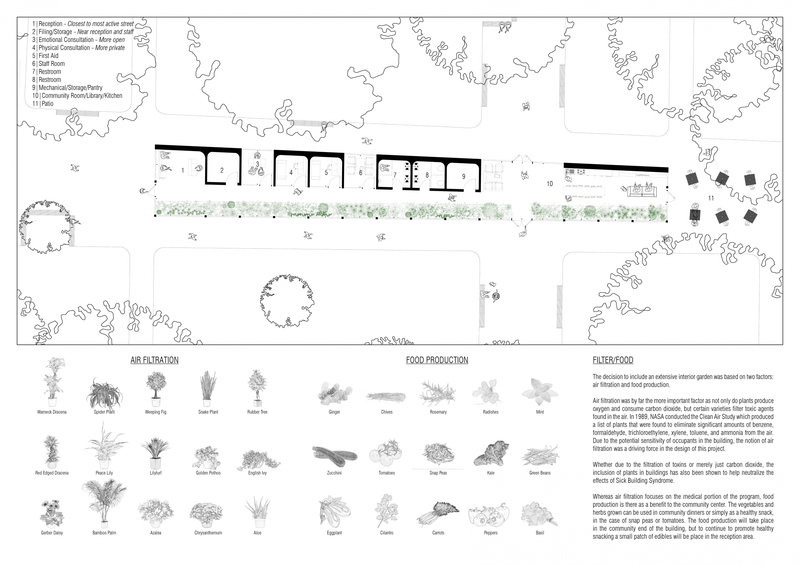 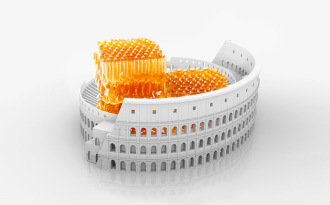 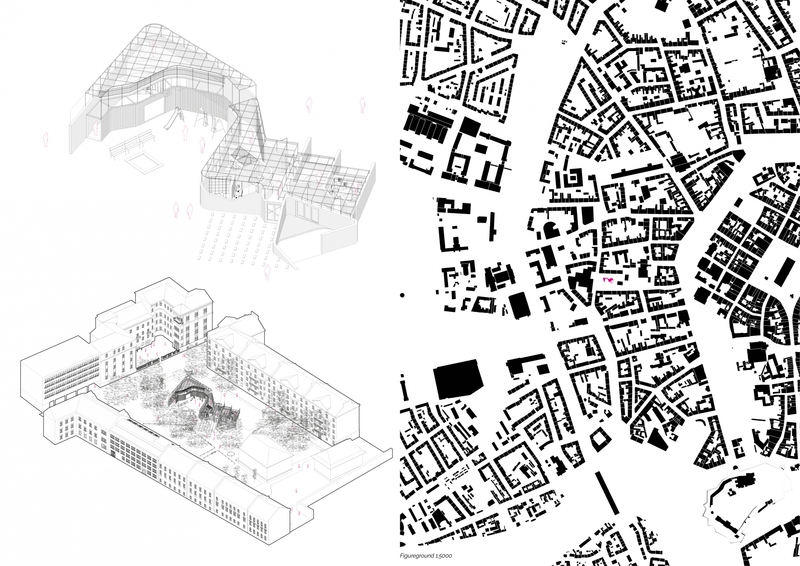 The success of this proposal lies in its simultaneous simplicity and whimsicality. 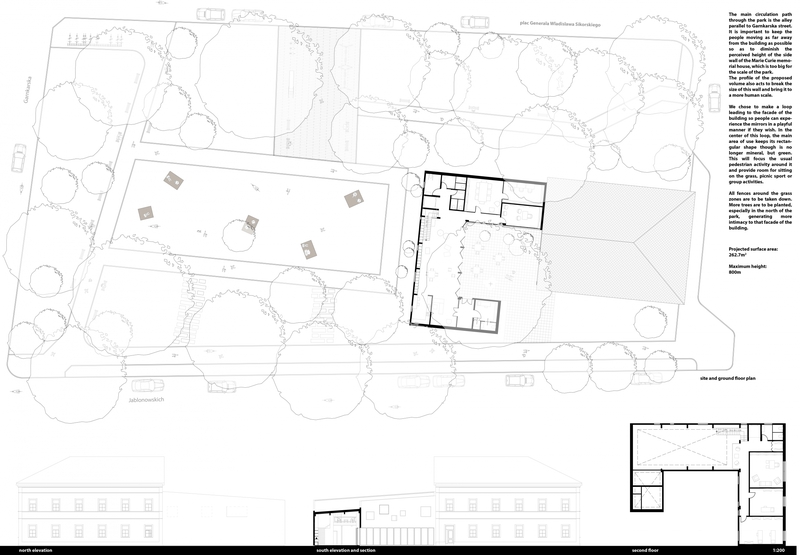 The project’s linear plan organizes an enfilade among rooms along a central circulation axis of Bror Hansson Park, dividing the site in half. 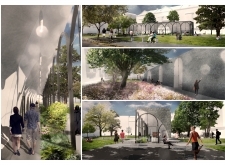 The south facade’s taut glass, framed in thin steel arches cascading down towards the Oncology Center, opposes the north facade’s heavy concrete wall imprinted with ornamental relief. 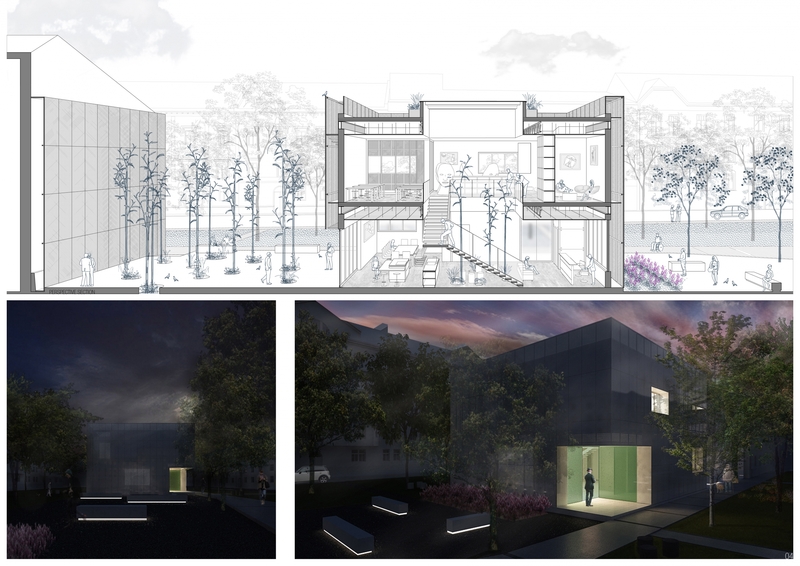 This duality amplifies difference between passive seclusion to the north and active interaction to the south, both defining distinct landscape experiences. Within the vaulted interior, the space is booleaned from a monolithic concrete mass, creating a series of niche-like monastic cells and more expansive public spaces facing the activated landscape. 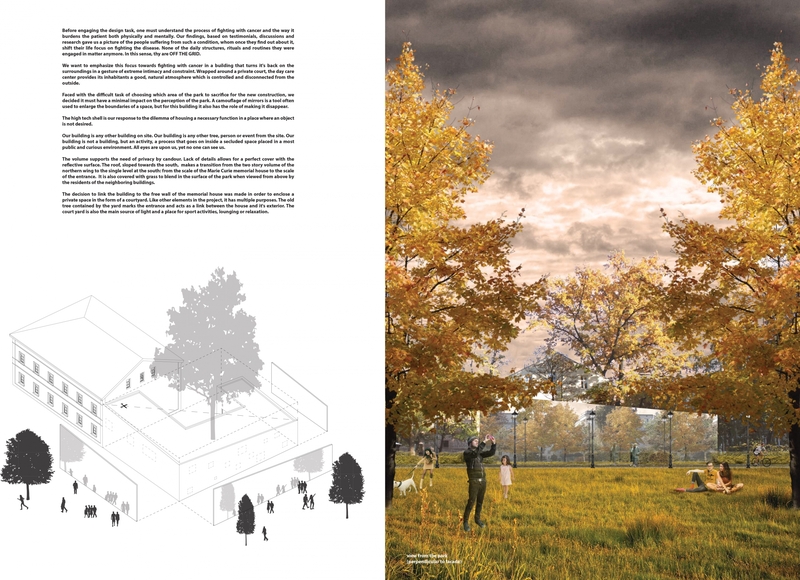 Plantings line the inside of the glass facade further blurring interior and exterior, public and private. 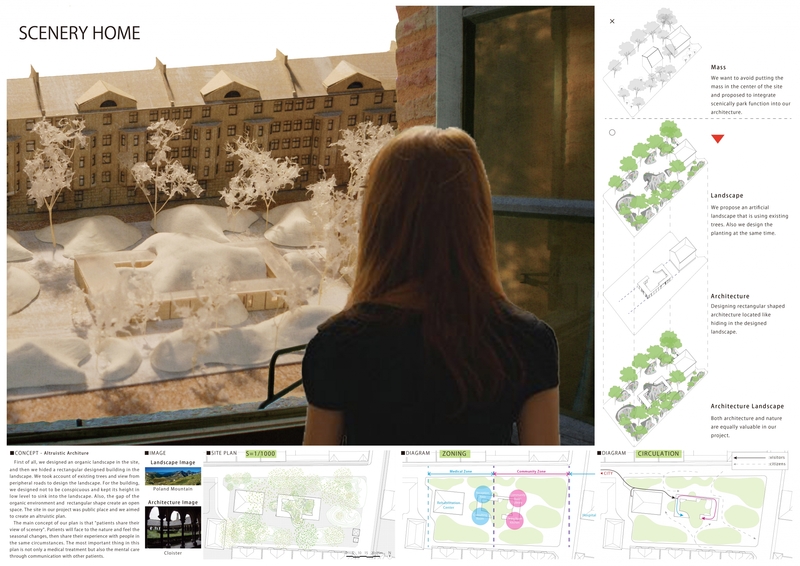 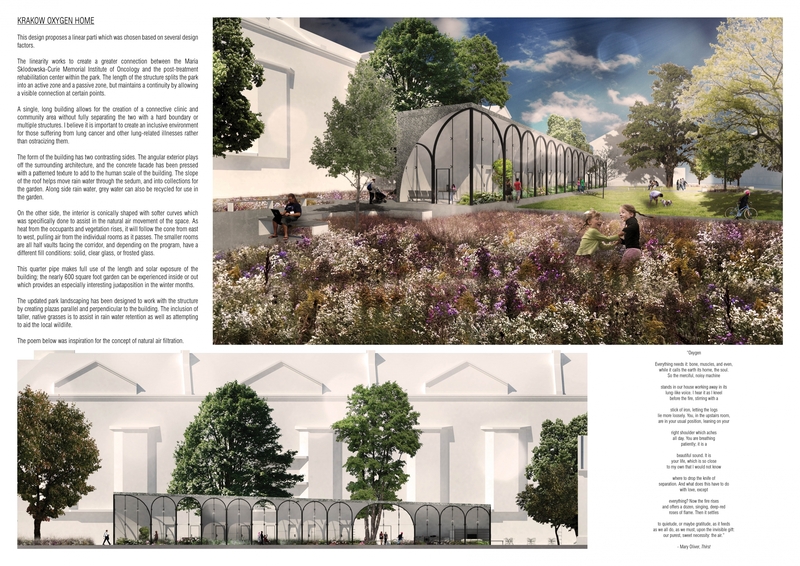 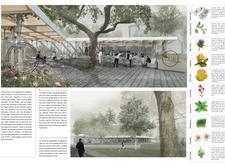 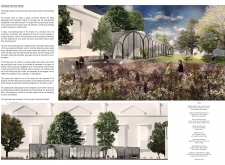 Ultimately, the sensitivity and clarity of the linear plan wedged into the park, in combination with the playful allusion to traditional architectural typologies of the arcade, vault, and wall result in a proposal deftly imbricating the public and the intimate.